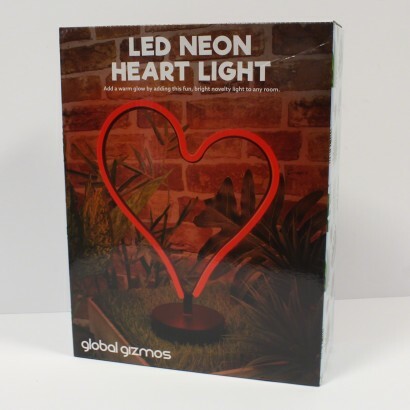 What's not to love about this vibrant heart lamp formed in LED neon? 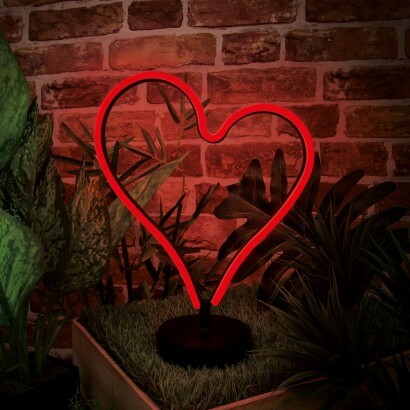 Superbright with a red glow, this LED neon lamp oozes retro style and looks great around your home adding a playful romantic vibe. Battery operated, this bold neon lamp can be placed anywhere in your home for feel good lighting with a captivating glow.